Do you have a ground breaking product idea? …but need the expertise and "muscle" for developing it into a working web product? Keep in mind: In this digital age, good is not enough. 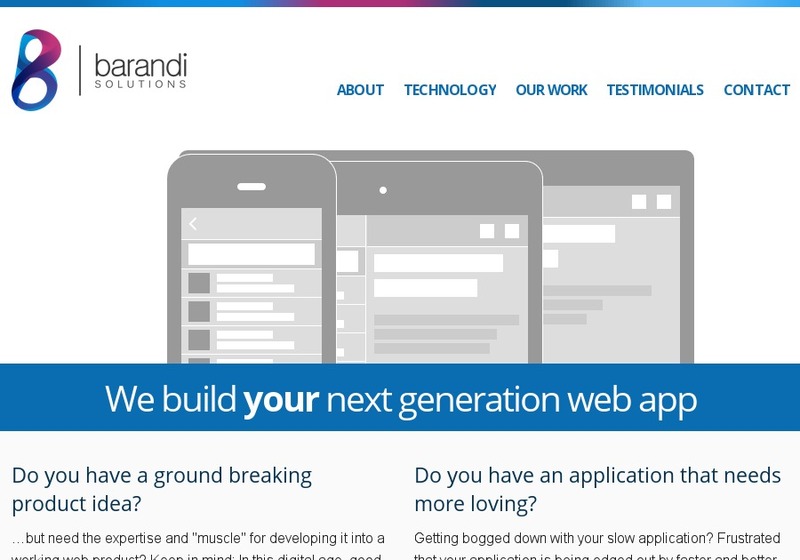 Let Barandi Solutions make it great. Do you have an application that needs more loving? Getting bogged down with your slow application? Frustrated that your application is being edged out by faster and better looking apps? Let Barandi Solutions help. We use the latest technologies in order to create cutting-edge modern web applications available on all platforms, be they web or mobile.